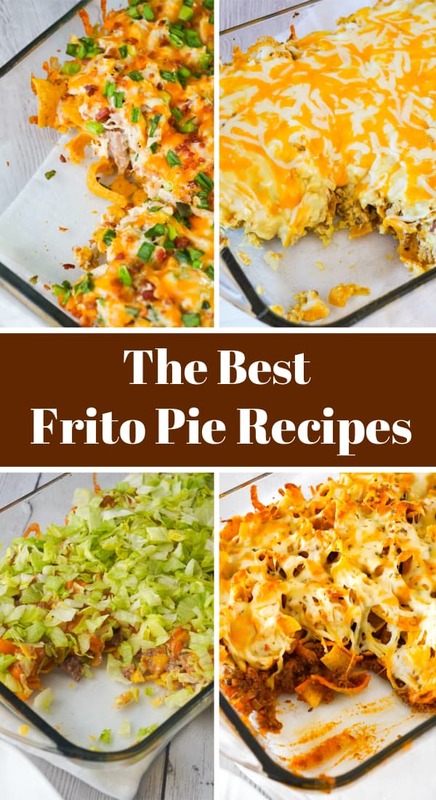 A collection of Frito pie recipes including Big Mac Frito Pie, Sloppy Joe Frito Pie and Breakfast Frito Pie. Big Mac Frito Pie is an easy ground beef dinner recipe that can be on the table in under 30 minutes. Frito's corn chips are topped with ground beef mixed with Big Mac sauce, diced pickles and cheddar cheese. 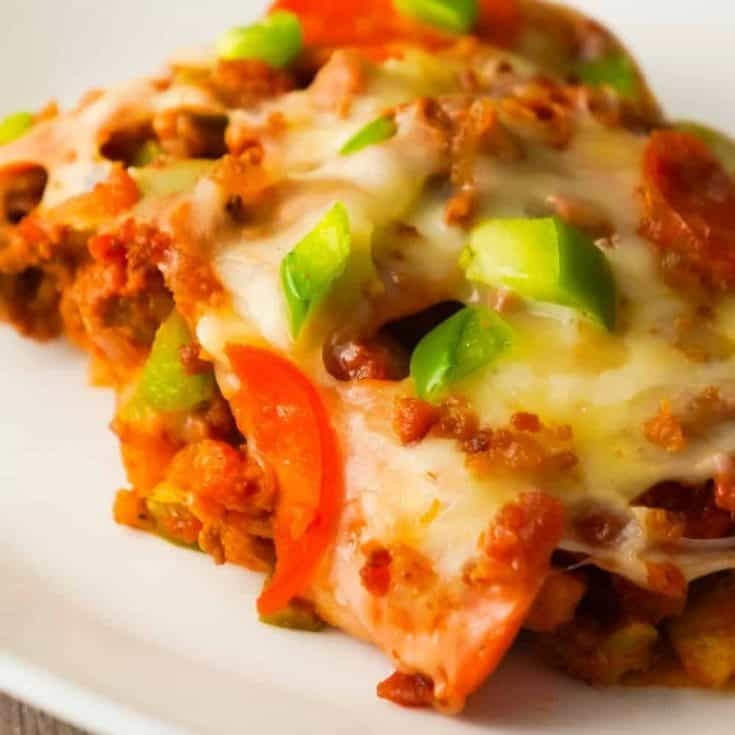 Breakfast Frito Pie is a fun twist on the classic Frito pie recipe that is perfect for serving at breakfast or dinner. 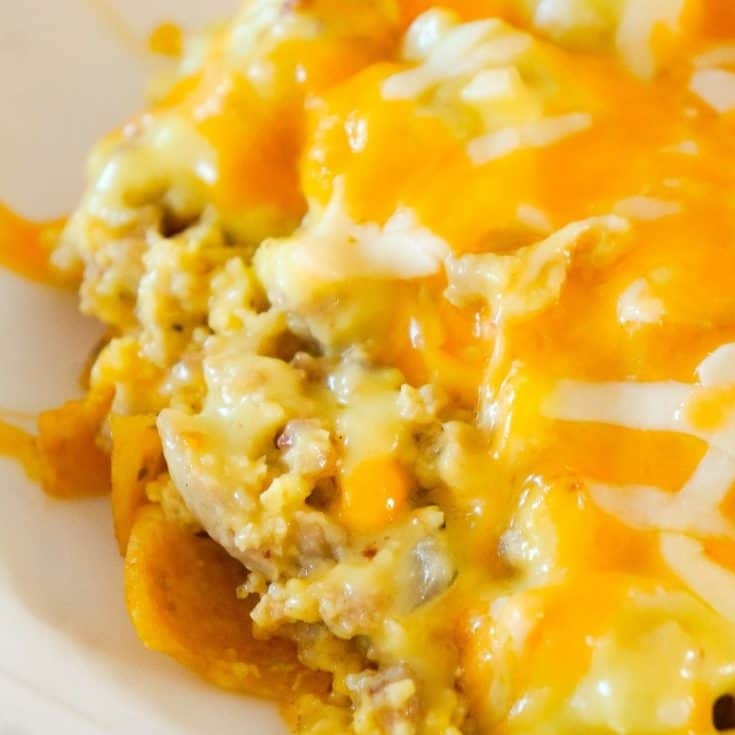 This tasty dish starts with a layer of corn chips topped with scrambled eggs, sausage, bacon, Hollandaise sauce and melted cheese. 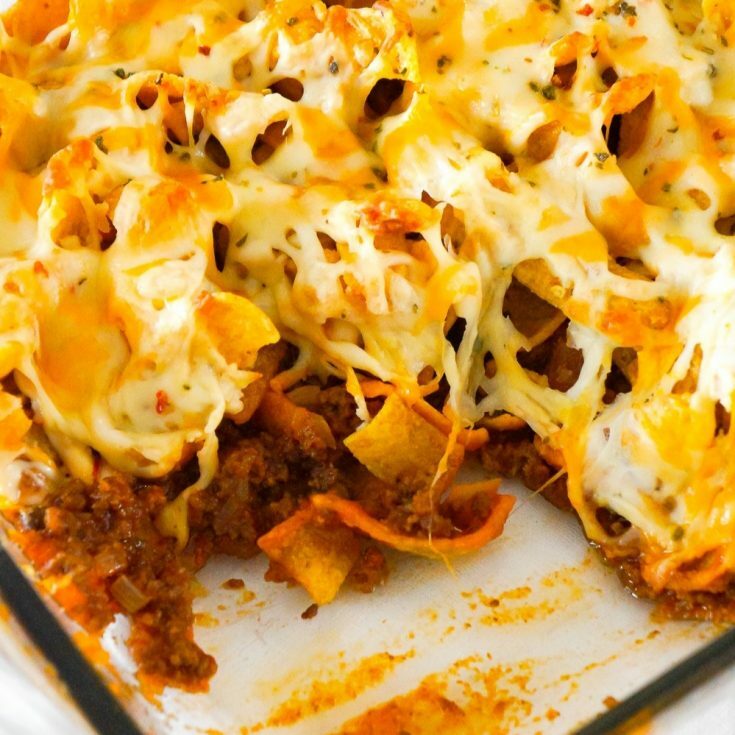 Sloppy Joe Frito Pie is an easy ground beef dinner recipe perfect for weeknights. 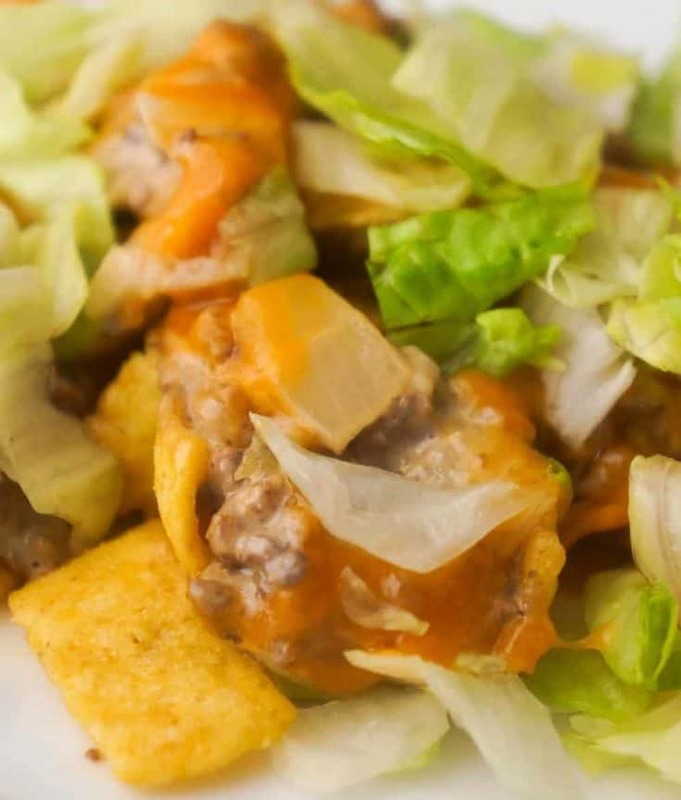 Ground beef and onions are tossed in homemade sloppy joe sauce and then topped with Frito's corn chips and cheddar cheese. Chicken Bacon Ranch Frito Pie is a quick and easy dinner recipe using rotisserie chicken. 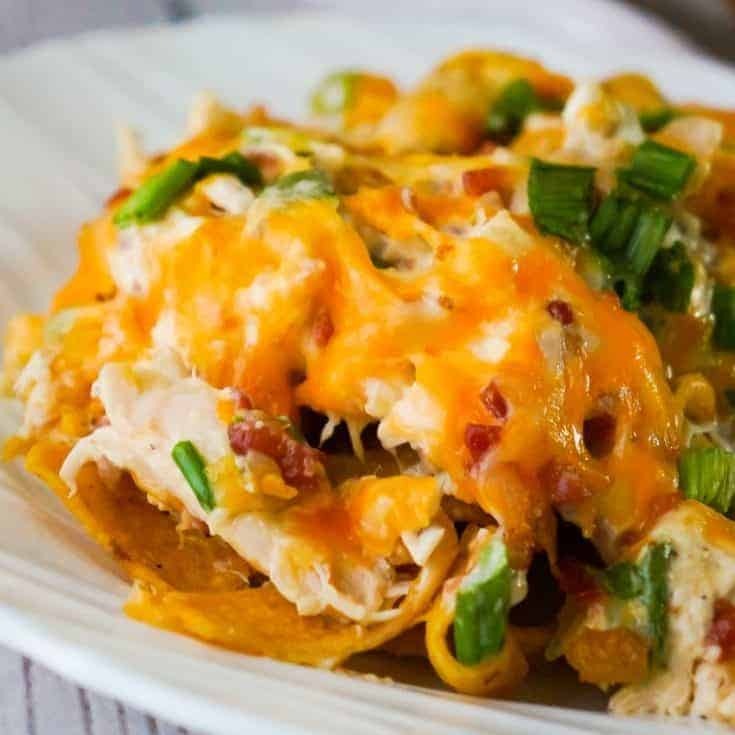 This tasty casserole starts out with a base of Frito's corn chips topped with a mixture of shredded chicken, real bacon bits, green onions and ranch dressing, finished off with a layer of shredded cheese.